WHERE TO FIND CHEAP ACCOMMODATION IN DUNEDIN. Dunedin is one of the world’s largest city (when measuring land mass). 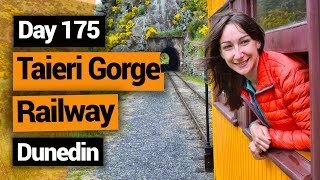 That means that finding accommodation in the greater Dunedin area could take you far and wide, from the wildlife-filled Otago Peninsula to the charming harbourside settlement of Port Chalmers. Whether you’re having a quick visit to Dunedin’s outer suburbs or looking to stick around longer as part of your working holiday, this accommodation guide to Dunedin is sure to point you in the right direction. Because Dunedin is a pretty huge place, we have put together a quick list of the outer city suburbs where you are likely to find some cheap accommodation, as well as outlining how far away they are from Dunedin’s centre, The Octagon. For accommodation in the city, check out Accommodation Guide to Dunedin City Central. This accommodation guide to Dunedin is also split into accommodation types, so you can just skip straight to your preferred accommodation style! So find a place to stay in Dunedin using our nifty accommodation guide to Dunedin! 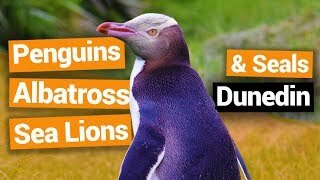 WHICH DUNEDIN DISTRICT TO FIND ACCOMMODATION IN? There is accommodation found all over Dunedin’s outer districts and suburbs. Here’s a quick rundown on what to expect in each Dunedin district in relation to Dunedin city centre. For more about Dunedin and its inner city suburbs, read our Accommodation Guide to Dunedin City Central. Note: CBD refers to “Central Business District” i.e. The Octagon in Dunedin city centre. Port Chalmers – Location: East Dunedin, Distance from CBD: 16min drive. Average weekly rent for a room: NZ$110, Average hostel night: NZ$30. Aramoana– Location: East Dunedin, Distance from CBD: 32min drive. Average weekly rent for a room: NZ$140. 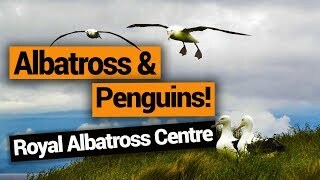 Otago Peninsula – Location: West Auckland, Distance from CBD: 10-40min drive. Average weekly rent for a room: NZ$120. Green Island – Location: West Dunedin, Distance from CBD: 13min drive. Average weekly rent for a room: NZ$120. Fairfield – Location: West Dunedin, Distance from CBD: 15min drive. Average weekly rent for a room: NZ$155. Waldronville – Location: Southwest Dunedin, Distance from CBD: 14min drive. Average weekly rent for a room: NZ$110. Mosgiel – Location: West Dunedin, Distance from CBD: 17min drive. Average weekly rent for a room: NZ$140. Brighton – Location: Southwest Dunedin, Distance from CBD: 20min drive. Average weekly rent for a room: NZ$130. Allanton – Location: West Dunedin, Distance from CBD: 20min drive. Average weekly rent for a room: NZ$150. Momona – Location: West Dunedin, Distance from CBD: 25min drive. Average weekly rent for a room: NZ$140. Outram – Location: West Dunedin, Distance from CBD: 25min drive. Average weekly rent for a room: NZ$140. Purakanui – Location: North Dunedin, Distance from CBD: 30min drive. Average weekly rent for a room: NZ$130. Waitati – Location: North Dunedin, Distance from CBD: 20min drive. Average weekly rent for a room: NZ$140. Warrington – Location: North Dunedin, Distance from CBD: 25min drive. Average weekly rent for a room: NZ$130. Karitane – Location: North Dunedin, Distance from CBD: 35min drive. Average weekly rent for a room: NZ$120. Waikouaiti– Location: North Dunedin, Distance from CBD: 35min drive. Average weekly rent for a room: NZ$130. Middlemarch– Location: North Dunedin, Distance from CBD: 1hour drive. Average weekly rent for a room: NZ$135. For Dunedin Central and the inner suburbs, such as North Dunedin, City Rise, Fernhill and more, check out the Accommodation Guide to Dunedin City Central. There are only two backpacker hostels in the outer suburbs of Dunedin… That’s awkward. Most of Dunedin’s hostels can be found in the city centre and inner suburbs. For more information check out the Accommodation Guide to Dunedin City Central. Billy Brown’s in the harbourside suburb of Port Chalmers surrounded by walks and beaches. Bed prices start at NZ$30. McFarmers has a backpacker lodge situated on the Otago Peninsula. 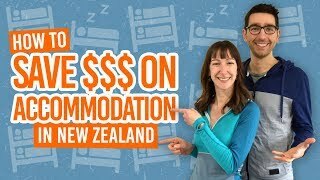 Bed prices starts from NZ$30. (As featured in our 5 Best Backpacker Hostels in Dunedin). Portobello Tourist Park on the Otago Peninsula also offers backpacker beds at NZ$45 per night. Due to the lack of hostels in the Dunedin region, you may find more convenient options in campgrounds, holiday parks and AirBnB. Renting a room is common practice in Dunedin to keep the price to minimum when staying in Dunedin long-term, usually done if you have landed a job in Dunedin as part of a working holiday. Expect a room to rent in the outer suburbs of Dunedin to be around NZ$130 per week. That’s a room to yourself in a flatshare or houseshare. 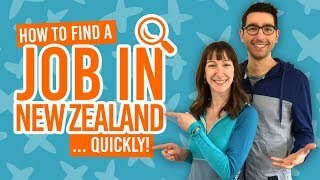 For advice on how to find a room to rent in Dunedin, have a look at our 6 Resources to Find a Room to Rent in New Zealand. Renting a room involves a more complicated process than staying in short-term accommodation, so get clued up by reading The Paperwork Process of Renting or Flatting in New Zealand. Stay with a local Dunedin-dweller in Dunedin’s outer suburb. AirBnB, the online network of people’s “spare rooms” available for accommodation, is huge in Dunedin’s suburbs! The Otago Peninsula, Port Chalmers, Brighton and Mosgiel in particular have a wealth of AirBnB rooms. However, you’ll have a hard time finding AirBnB rooms in Dunedin for a backpacker price. Although the average price for a room in Dunedin is NZ$120 per night, you can find an array of NZ$57-800 rooms in the outer suburbs. Consider an AirBnB room for more convenient suburb locations (considering many of the suburbs lack any other short-term budget accommodation) and a more “treat yourself” experience. Your first night with Airbnb is on us with this FREE NZ$50 Airbnb credit! There are six holiday parks in the Dunedin outer suburbs with powersites and tent sites. These holiday parks are encouraged to be used for campers who do not have a self-contained vehicle with prices starting at NZ$13 per night. Free campgrounds for both self-contained and non-self-contained camping can be found in the Warrington Domain in Warrington and the Ocean View Recreation Reserve in Brighton. Self-contained vehicles have the option to freedom camp throughout the Dunedin area on gravelled or sealed council land set aside for parking. Restricted areas are clearly signposted and are only on a few areas around the Otago Peninsula. For a full list on where you can camp in Dunedin Central and the surrounding areas, take a look at Where Can I Camp in Dunedin.